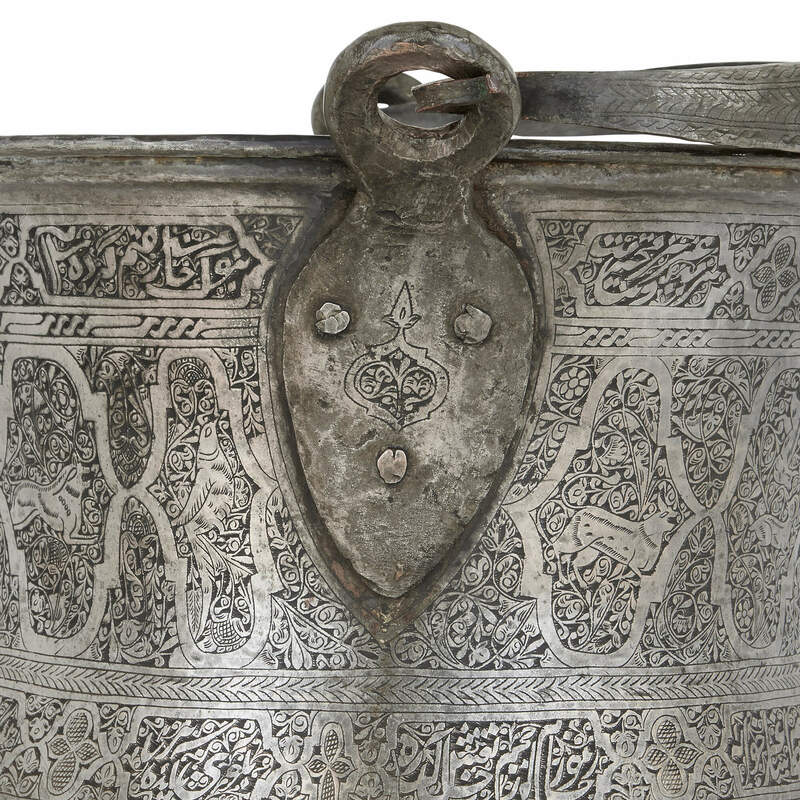 This beautiful late 19th Century Persian bucket features some exceptionally detailed and intricate metalwork in copper and tin on its exterior. This wonderful Persian bucket is an beautiful decorative piece which could also be used as a large jardiniere or planter. 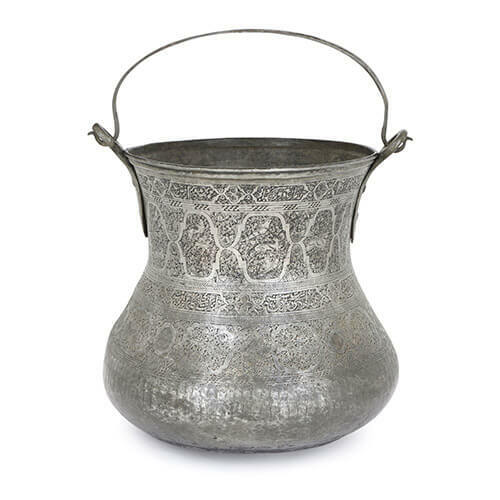 It dates to the late 19th Century, when it would probably have been used either as a water carrier or, due to its large size, as a decorative piece. 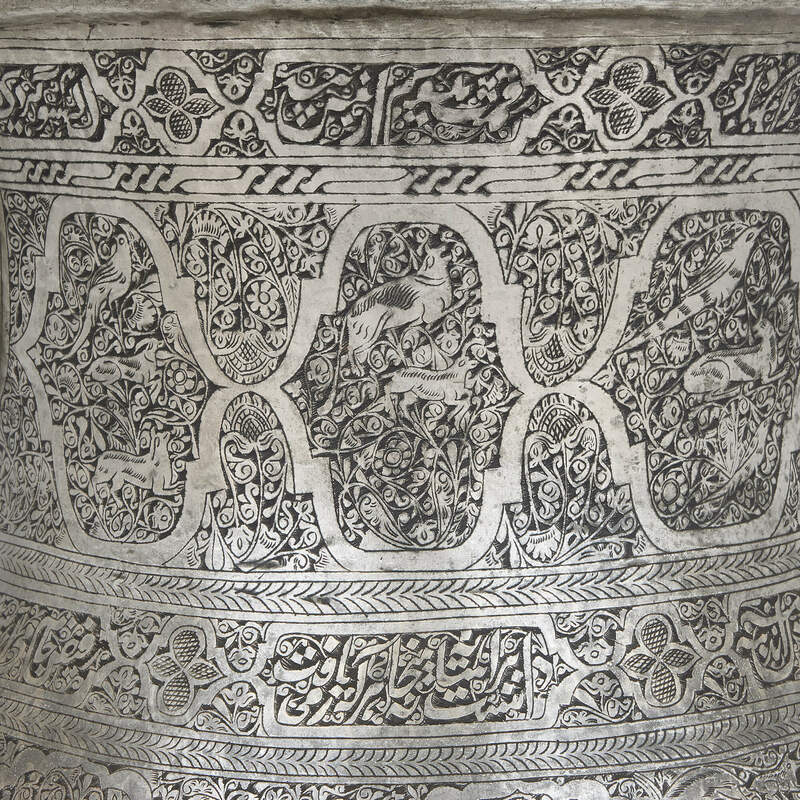 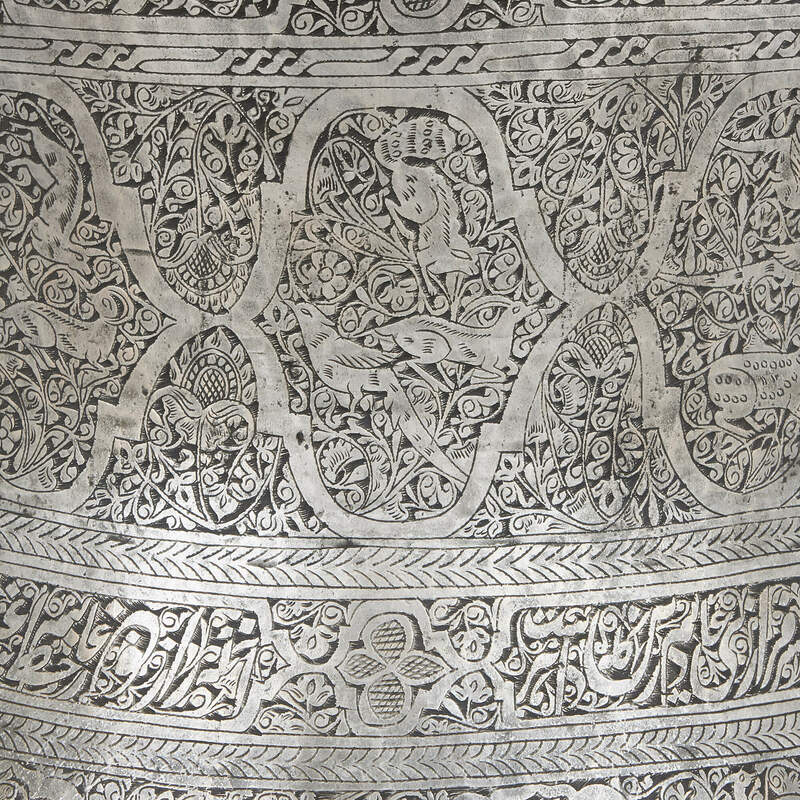 The most alluring aspect of the bucket, however, is the elaborate damascened metalwork around its exterior. 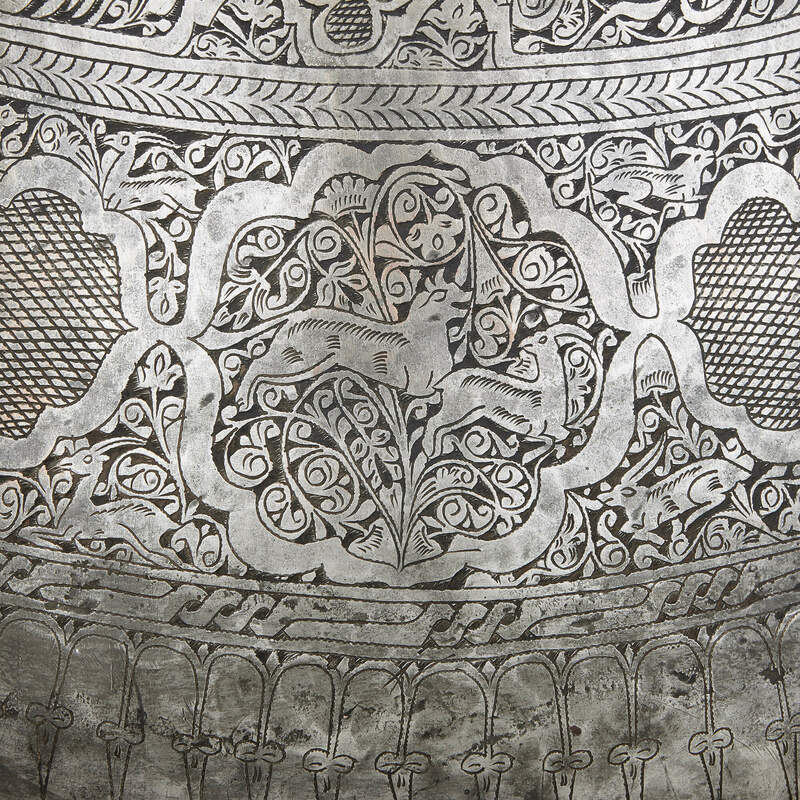 Damascening is the art of inlaying a hammered wire of metal into the surface of another metal, so-called due to the city of Damascus, renowned in the Middle Ages for its elaborate metalware. 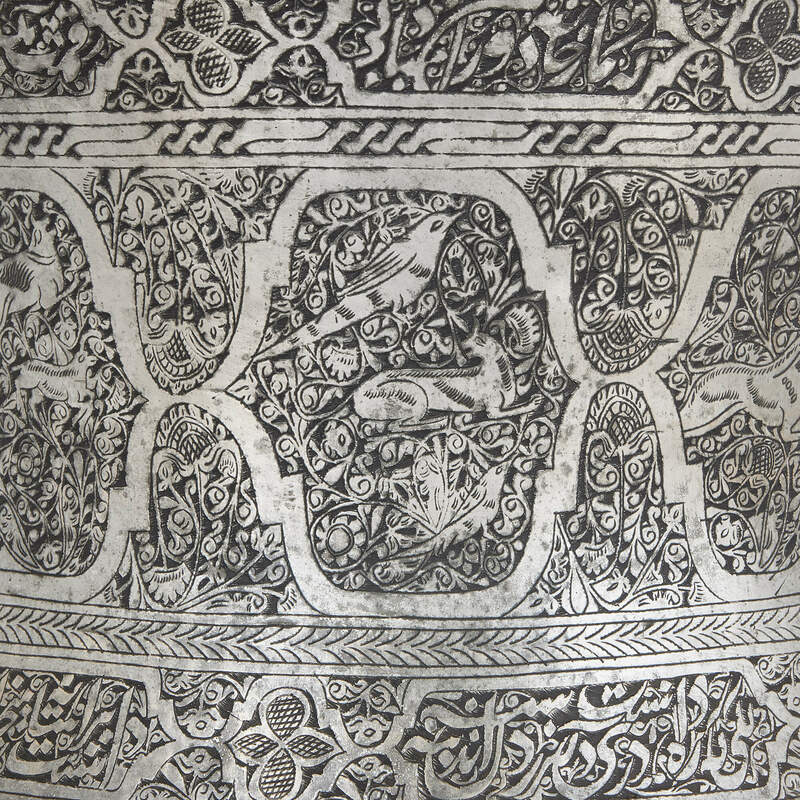 In this case, copper has been applied to tin to display elaborate Moorish or Islamic style floral and geometric patterning, together with birds, calligraphy and other animals. 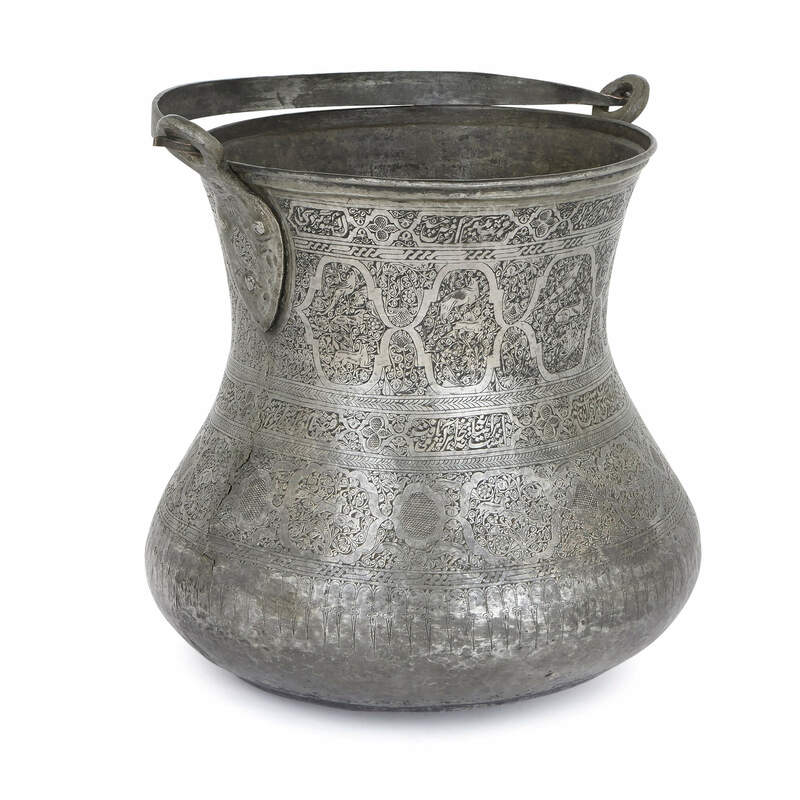 The bucket is large and round in shape, with a flat, spreading base and a single curved handle.